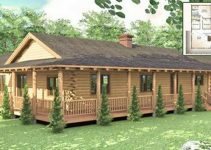 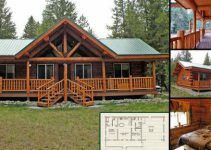 This charming custom log home, built in 2002, is quite spacious with two bedrooms and two bathrooms and a total of 1,612 sqft. 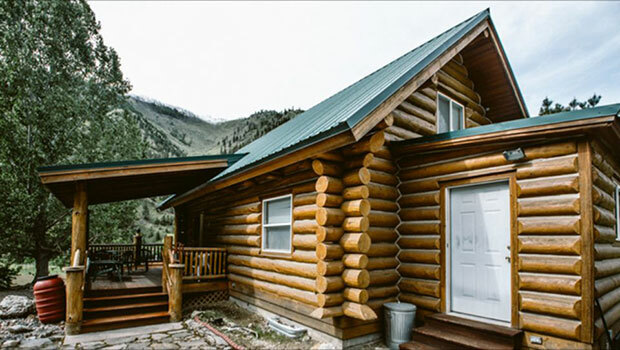 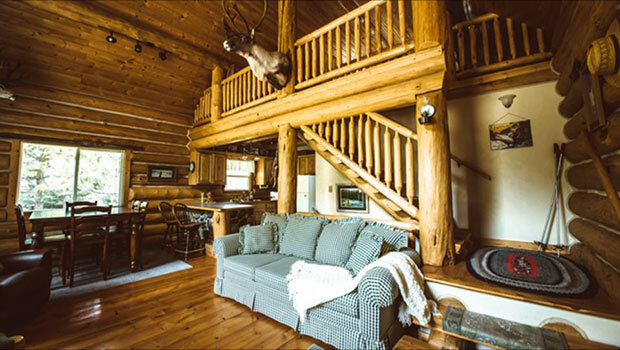 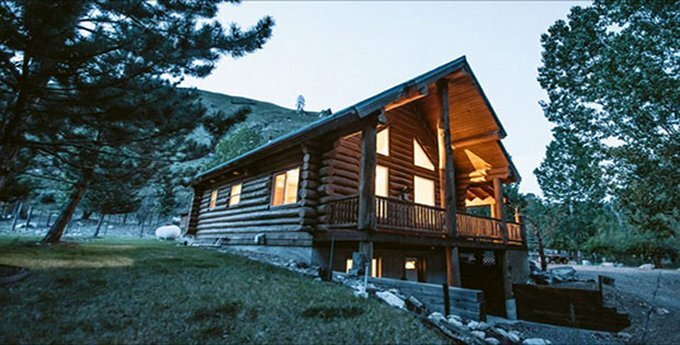 The beautiful views from the log cabin just speaks for itself, as the breathtaking views of the Salmon river and surrounding mountains are mesmerizing. 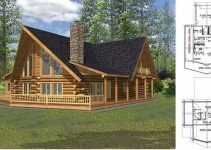 With hardwood floors, a fireplace, plus extra storage area outside, backup propane heating with two large tanks, this log home is move-in ready, and can easily sleep 10-12.